Diptyque, as regular as a clock, prepares winter gifts and treats for the home and your loved ones. 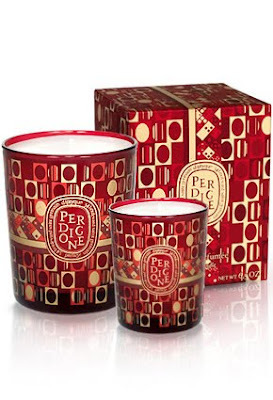 For winter 2011 and the upcoming holidays, they have prepared two new candle scents, Epinette and Perdigone, and a limited edition mini candles coffret for collectors. The limited edition Winter 2011 mini-candles coffret by Diptyque contains three scented candles with spicy and woody notes: The familiar warmth of the Wood fire (Feu de Bois), the aromatic freshness of Pine (Pin), and the festive and spicy notes of Pomander (Pomander). 3 x 2.4oz candles retail for 84$ in a specially designed coffret. 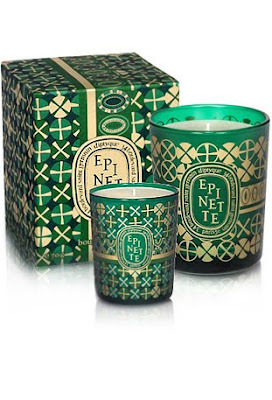 Diptyque has had Pine (Pin), Evergreen (Sapin), and now Spruce (Epinette) candles -- does anyone know how the spruce candle compares to the other conifer scents? Excellent question! I hope someone sees it and answers.